A woman is charged with self-abortion for drinking herbal tea at 24 weeks. Can you really self-abort by drinking an herbal tea? The pro-choicer in me who supports the aims of DNA Info’s Carla Zanoni’s piece on herbal menstrual extraction is in conflict with the science writer in me who wants biological and sociological facts to be as accurate as possible. Zanoni’s jumping-off point is the confession of a New York woman who drank an herbal tea, presumably with the intent to abort a pregnancy that was 24 weeks along, and then miscarried that pregnancy, throwing the fetus in a trash can. 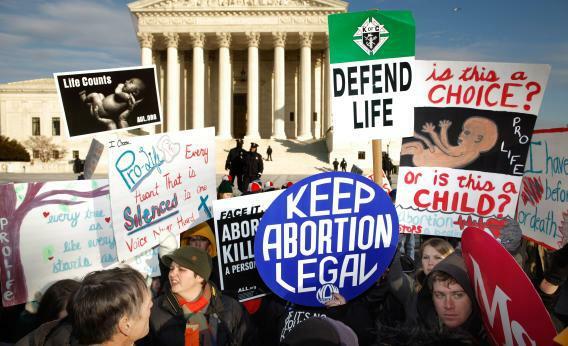 The woman is facing a year in jail for illegal abortion. Zanoni starts with this and explores the hazy underground world of herbal menstrual extraction, which is not actually “homeopathic”, despite packaging that says otherwise. Homeopaths work by diluting herbal remedies with water until they’re basically nonexistent in the formula, but most over-the-counter herbal remedies are simply dried herbs. Any abortifacient herb that was processed with homeopathy wouldn’t work, because you’re drinking plain water, which is known to be safe for pregnancies. Zanoni reports that largely immigrant neighborhoods in upper Manhattan have widespread use and knowledge of “hierba de ruda,” also known as ruta graveolens, or common rue. There is another, entirely separate herbal medication that is being frequently sold called Humphries No. 11, which is supposed to relieve “symptoms of delayed menses”, i.e. bring on your period if it’s late. The formal excuse for this is that a late period is painful; the likely reality is that this is simply another form of herbal menstrual extraction. I looked around at the herbs in Humphries No. 11, and the biggie seems to be wind flower, also known as pulsatilla, which has some history of being used to bring on childbirth or abortions. It also used black cohosh, which can soften the cervix. (If Humphries is in fact homeopathic, it cannot work at all, since there will be undetectably low amounts of the herbs in it. Some drugs labeled “homeopathic,” however, are undiluted herbs.) Both herbal remedies are marketed and seem to be treated mainly in the same way that mechanical menstrual extraction is around the world, which is to say not to terminate known pregnancies but to simply get your period from the inside of your body out. The most typical form of menstrual extraction, which is a practice that is common in parts of the world where access to contraception and abortion is difficult to get, involves a simple device made with easy-to-find supplies. Right around when a woman’s period is supposed to start, you use this device to extract the built-up lining in her uterus. From what I understand, the ostensible reason for this is hygienic, to prevent the woman from getting a period at all. What it actually does, with creative elegance, is elide bans on abortion by terminating any possible pregnancy before it’s detectable. The National Abortion Federation describes it thusly: “In the developing world menstrual regulation persists as a crucial strategy to circumvent anti-abortion laws,” and it works because “it presumably takes place without a technical verification of pregnancy.” Anti-choice organizationos have discovered the widespread practice of women using this technique to avoid menstruating that might just happen to remove unwanted but unverified pregnancies, and surprise! They don’t like it. Human Life International complains that menstrual extraction “lets abortionists circumvent legal clauses,” because menstrual extraction isn’t necessarily terminating a pregnancy. It could just be pulling out a uterine lining that was going to come out on its own anyway. That you can’t tell the difference should give those who want to call a zygote a “baby” some pause, and it probably would if they sincerely worried about “life” instead of controlling women’s bodies. These herbs are clearly using this gray area to achieve similar results, and though they’re probably effective in undiluted amounts, it’s far from foolproof and I would recommend that anyone looking for pills to control fertility look to those that are FDA-regulated. What those herbs probably can’t do, however, is terminate a pregnancy at 24 weeks. All things are possible, of course, but not probable. If the woman who has been arrested is telling the truth—that she drank the tea and then miscarried—then the most likely explanation is that it’s just a terrible coincidence. It’s certainly not enough evidence to convict her. This entire episode should demonstrate the dangers of prosecuting women for “self-abortion” at all, since pregnancies end on their own all the time, and efforts to connect the desire not to be pregnant with the actual end of a pregnancy are often going to be far too ambiguous, as they are in this situation. I hope she has a good defense lawyer who does his research on this. I can see hitting someone with a fine for improperly disposing of the fetus, but jail time for self-abortion that probably didn’t happen is both unfair and sets a bad precedent.